Some anniversaries are so significant because of their unfolding ramifications they are worth recording even though the date has passed. In March 1969, Melbourne’s first container dock was completed, in time for the arrival of the first container ship in April. The container revolution was on the horizon from the early ’60s. Far sighted Melbourne Harbor Trust chairman Victor Swanson anticipated what was coming. He toured overseas ports and saw the inexorable trend. Containerisation was set to ‘earthquake’ the shipping industry. The port had to turn itself upside down in a matter of years to fundamentally change its facilities. The needs of container shipping were fundamentally different from those of conventional shipping. Conventional shipping required a wharf apron backed by a cargo shed. Container ships needed large amounts of hard stand suitable for stacking containers. There was no going back. Victoria Dock, that engineering marvel of the 1880s, was to become redundant. From its earliest years, the Harbor Trust had jealously protected land for future port development. That was why they were so reluctant to yield to the City of Port Melbourne’s persistent advocacy to release land for housing on Fishermans Bend. Keeping land in reserve was one of the biggest aces the Port had up its sleeve when it came to preparing for the containerisation. The experience gained in preparing the River entrance dock for the new style Ro Ro vessels to serve the Tasmanian trade also stood the port in good stead. From 1967 onwards, the Port was in a ‘frenzy of adjustment’. Wet, marshy land west of Victoria Dock was reclaimed and covered with hard stand. The Yarra River was also deepened and widened. The works were complete a month ahead of the arrival of the first ship. On 7 March 1969, Governor Delacombe, in the presence of delegates of the International Association of Ports and Harbors, opened the new dock. In recognition of Victor Swanson’s monumental effort in preparing the port for containerisation, it was named Swanson Dock. 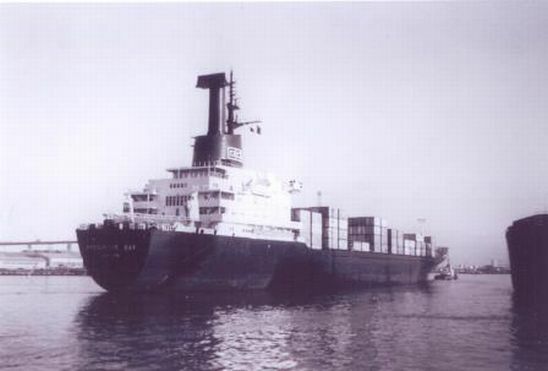 The first international ship to use Swanson Dock was the Encounter Bay – with an overall length of 227 metres. It could carry 1600 TEU*. A container is colloquially referred to as a ‘box’. As the Port reminds us, most of the consumer goods we take for granted, whether its coffee or tea, bicycles or computers, are likely to have entered Melbourne in a container. The biggest container ship to visit Melbourne, OOCL Seoul, arrived at the port of Melbourne on Tuesday 28 August 2018. The ship is 325 m long and can carry 8063 TEU – compared to the Encounter Bay’s 1600. 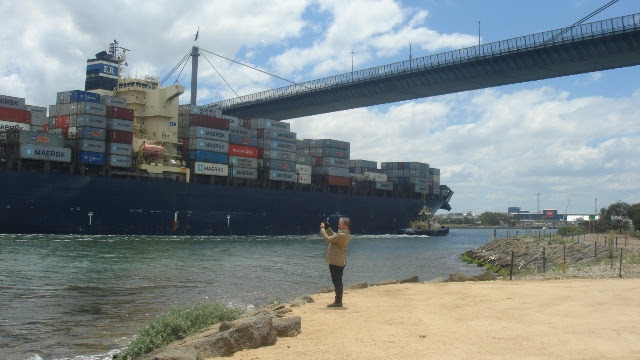 In 2017-18, 1,098 container ships visited Melbourne. 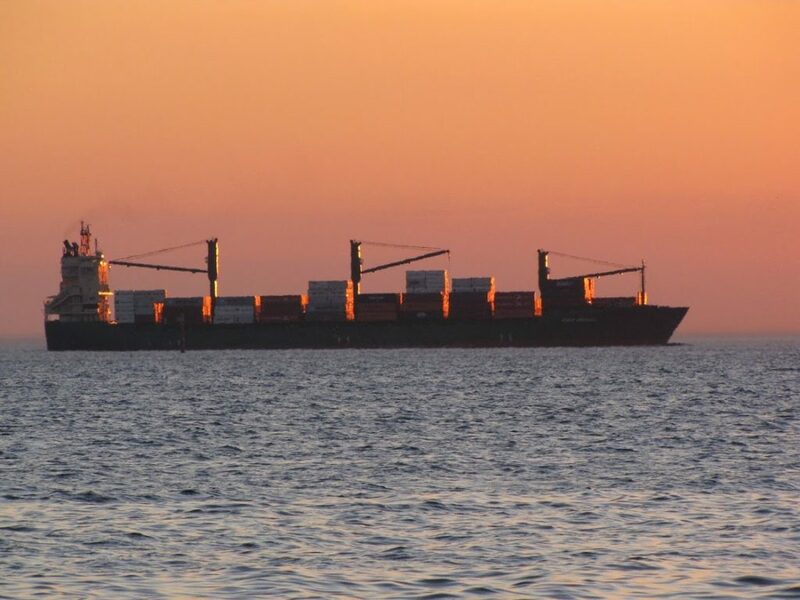 Container ships continue to grow bigger – longer and wider. It is the present and future challenge of the Port of Melbourne and VicPorts to accommodate them. As to the ‘earthquake’ containerisation posed for employment on the waterfront – a story for another day. *TEU stands for Twenty-Foot Equivalent Unit which can be used to measure a ship’s cargo carrying capacity. The dimensions of one TEU are equal to that of a standard 20′ shipping container. 20 feet long, 8 feet tall.